Alzheimer’s affects about six percent of people over the age 65 worldwide. For years, scientists have been searching for ways to treat it and to discover its roots, but without much success, until recently. A group of Ben-Gurion University researchers, under the leadership of Dr. Deborah Toiber, is among those who have made breakthroughs. They have discovered that a certain protein, SIRT6, necessary for DNA repair, is largely missing from the brains of people with Alzheimeir’s. The absence of this protein and the gradual decline in its production by the human body as we age might be what triggers the disease. 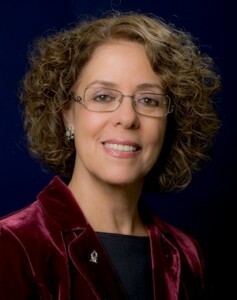 On June 5, Toiber will be the keynote speaker at Alzheimer’s, Dementia and You: Research, Risk Reduction and Resources. She will be joined in a panel discussion by Laura Feldman from the Alzheimer Society of British Columbia and Joanne Haramia of Jewish Family Services; Simon Fraser University professor emeritus Dr. Gloria Gutman, one of the founders of SFU’s Gerontology Research Centre, will be the moderator. The event, which will be held at the Rothstein Theatre, is being presented by the Canadian Associates of Ben-Gurion University (CABGU) in partnership with the Jewish Independent, the Jewish Community Centre of Greater Vancouver’s Adults 55+ program, the Alzheimer Society of B.C., Louis Brier Home and Hospital, Jewish Family Services, Jewish Seniors Alliance, and L’Chaim Adult Day Care. 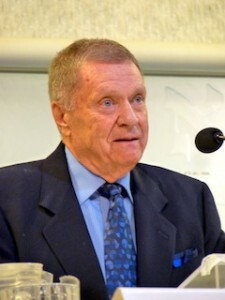 Many scientists in related fields of study are interested in Toiber’s work. “I have talked about our research at the international neurochemistry meeting in Paris and at conferences in Crete and Israel,” she said. 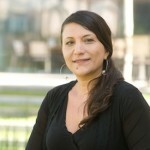 To hear her speak in Vancouver, register at eventbrite.ca. There is no cost to attend. Approximately 2,000 Ben-Gurion University of the Negev students served during Operation Protective Edge, and another almost 1,000 remained in Beersheva to volunteer in the community. Between July 8 and Aug. 26, all activities, classes and exams were canceled. It was the third time and the longest period that the university has had to close its campus because of rockets from Gaza. “Tragically, four members of the BGU family fell in battle. Their deaths are the latest permanent and heartbreaking reminder of the enormous price we continue to pay for an independent Jewish state,” wrote Prof. Rivka Carmi, MD, president of BGU, in her Sept. 14 e-message. “Other members of the university family, more than I believe we will ever know, served their country, their neighborhoods, their communities and their families by devoting time and energy to helping others endure the more than 50 days of what seemed like never-ending sirens, explosions and the awful anticipation of the next one,” continued the message. To help, Carmi asked BGU’s associates organizations to raise $1 million, which they did. As of that message, Canadian Associates of BGU had raised more than $125,000 “for scholarships, with more expected to be donated.” As well, “approximately $120,000 … [was] received to purchase a 3-D electrocardiograph to be used with the wounded soldiers in Soroka hospital.” In August, American lawyer and philanthropist Murray H. Shusterman had pledged $1 million to improve campus safety against rocket attacks. 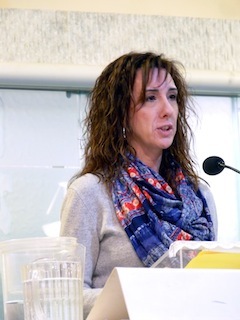 While the university’s “annual operating budget comes from the government (primarily for salaries) through the Council for Higher Education in Israel, all growth and development comes through fundraising,” she explained. “Growth – in both physical infrastructure and human capacity – are made possible through amazing philanthropists who share our vision.” She voiced appreciation for the Canadian Jewish community’s support. 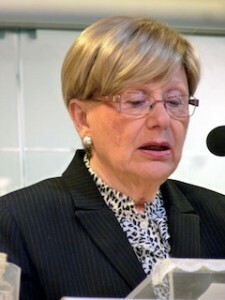 Carmi is the first woman to have served as president of an Israeli university, and the first as dean of a health sciences faculty. 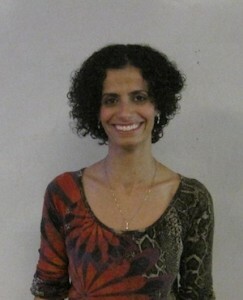 Elected for her first term as BGU president in 2006, she was confirmed for her third term this past May. 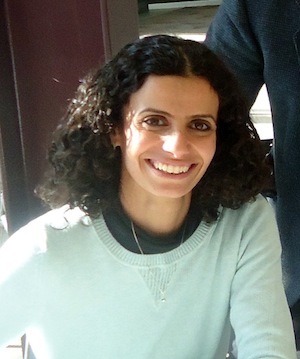 With similar intent – to get more women into higher education – Carmi co-founded with Fatma Kassim the nongovernmental organization Alnuhud, the Association for the Promotion of Bedouin Women’s Education in the Negev. “It was the first such an organization … in the community,” said Carmi. “We realized then that an educated woman has a huge impact on the community and her family. The goal was to ensure that girls can compete on their own level to enter into university. At the same time, the university created what has turned into a very successful medical cadet program, launched by Prof. Riad Agbaria, to find promising Bedouin high school students and help them prepare for university studies in the health sciences. Two years ago, Carmi led a national committee examining the barriers and possible solutions to the situation. “The findings were conclusive,” reads BGU’s President’s Report 2014, “while Israel graduates a large number of female PhDs, it has far fewer women in the ranks of senior faculty than other European countries. “This year, there were 216 women among the faculty, not including clinical medical staff, representing 27 percent of the total. The higher one ascends the ladder of seniority, the lower the percentage of women. Today, 40 percent of lecturers, 35 percent of senior lecturers, 19 percent of associate professors and only 16 percent of full professors are women. Of the 38 new faculty members recruited this year, one third are women. Carmi has received many honors over her career, including from Canadian organizations, and there have been several collaborations between BGU and Canadian science/academia. “As a researcher, I had no Canadian contacts, but when I became dean of the faculty of health sciences, I became involved with the Canada International Scientific Exchange Program (CISEPO), which honored me in 2002 for my work. Now, our students participate regularly in their programs,” Carmi told the Independent. “Over the past few years,” she added, “we have created a number of cooperative agreements with Canadian universities, the most noteworthy is with Dalhousie,” from which she received an honorary doctorate last year. The BGU-Dalhousie memorandum of understanding involves joint research projects, among other cooperative ventures, including the development of an Ocean Studies Centre in Eilat. For more information about BGU, visit bengurion.ca. Israel is not known for manufacturing cars, let alone race cars, but that hasn’t stopped students from Ben-Gurion University from doing just that. At their first race this year, in Austria Aug. 17-20, the car had an oil leak in the middle of the endurance race. “The car was stopped and we were very disappointed,” said mechanical engineer Tamir Plachinsky. At the second race, however, in Italy Aug. 29-Sept. 1, the team fared better. 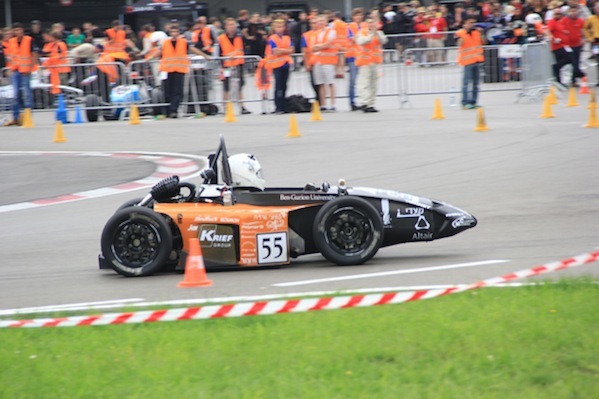 They finished 21st overall out of 44 teams, completing all of the events, including acceleration, skid pad, autocross and hard endurance (which was incomplete in Austria). 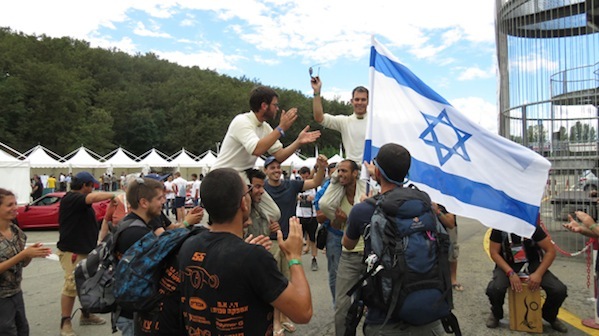 Plachinsky began the initiative to build the first-ever Israeli Formula SAE project in 2010. After the successful participation of the first Ben-Gurion Racing (BGR) team in 2011 in the Italian race, Plachinsky was granted a six-month apprentice opportunity at the Italian racecar manufacturer Dallara. Upon his return, he started managing the race-car project at the university. This year’s car is the fourth that students have designed and manufactured in the team. The aim is to redesign a new car each year for the Italian event, with a new group of students to replace the graduate students who have completed their studies. The creation of the team occurs around September. The new team meets with the old team and learns about the current car. “We go over the good systems and the bad ones, where we need to improve and develop, and what should be left as is,” explained Plachinsky. For 2014, the team consisted of 31 mechanical engineering students together with five students from the university’s department of management and design students from Bezalel Academy of Arts and Design in Jerusalem. “We’re confident and believe in our ability to face any difficulty we’ll encounter,” said Plachinsky. This year’s design concept was formed in September 2013. “They put into it their previous three years’ experience and a lot of courage to make it a better car from the 2013 model – one that put a new standard for race cars produced in Israel,” said Plachinsky. This car, dubbed the “BGR14004,” had two unique features. The main frame is built from carbon fibre, instead of welded steel tubes, and the students designed their own gearbox. 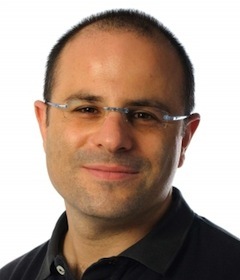 “The carbon frame, also called ‘monocoque’ (Latin for ‘single shell’) is the first of its kind ever produced in Israel and allows for [a] lighter and stiffer chassis,” said Plachinsky. This is a feature the university students have been developing over the past two years. The main assembly was done in the university’s new compound, but the different parts were manufactured at various factories supporting the team. The carbon fibre frame was made at Composite Materials Ltd. in Modi’in, the gears were made at Ashot Ashkelon Industries Ltd. in Ashkelon, and the 3D-printed intake manifold was made at Aran Research & Development Ltd. in Caesaria. “But, as much as possible, we’re trying to keep the manufacturing of the parts in the Be’er Sheva area and the south of Israel,” said Plachinsky. Overall, Plachinsky said everyone is very happy with how the car performs. “It shows all the features we designed into it and is faster than last year’s car,” he said. “The students’ devotion to complete the car and represent the team, the university and the country in the best way possible has just been unbelievable. Getting the funding necessary for such a project is daunting – and most participating teams get 10 times the funding that BGR does, according to Plachinsky. Looking ahead, the team’s goal is, as always, to advance into new areas and technologies. For the coming year, the plan is to participate in the Austrian and Italian events once again. This time, with a new car that will be the first electric race car made in Israel. Although the team has not yet begun building it, the general concept is in place. “Some team members from next year’s team are here with us [in Italy], learning about the competition, the race and the car as much as possible before the current team will clear the stage for them,” said Plachinsky.